The Sniper Elite series’ staple has always been its bullet cam which follows your sniper’s shots from rifle to target in cinematic slow motion. Adding in an X-Ray feature, these killcams become a brutal, yet satisfying, way to keep players enticed to keep on sniping. A clean kill takes on new meaning as bullets pierce eyes, internal organs, and yes even the vaunted testicle shot, all in gory detail. Sniper Elite 4 doesn’t veer from this model at all, and after four games in the series for some people it might get old. Luckily, there’s so much more here. 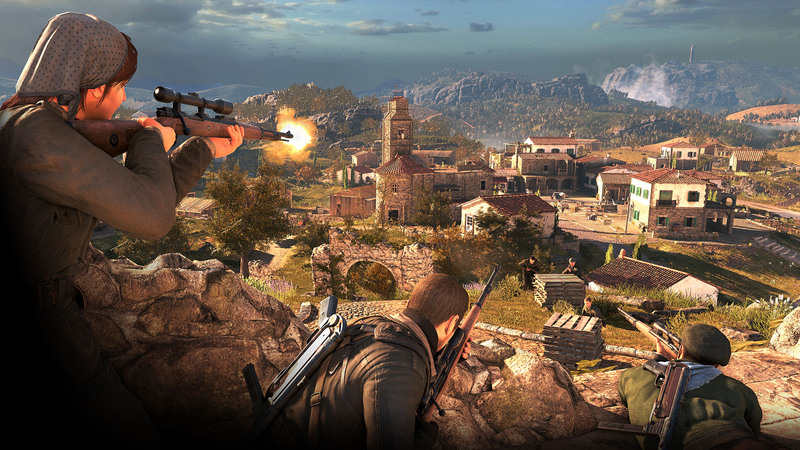 Sniper Elite 4 is set in Italy in 1943, with players controlling the same main character from the rest of the series, Karl Fairburne. 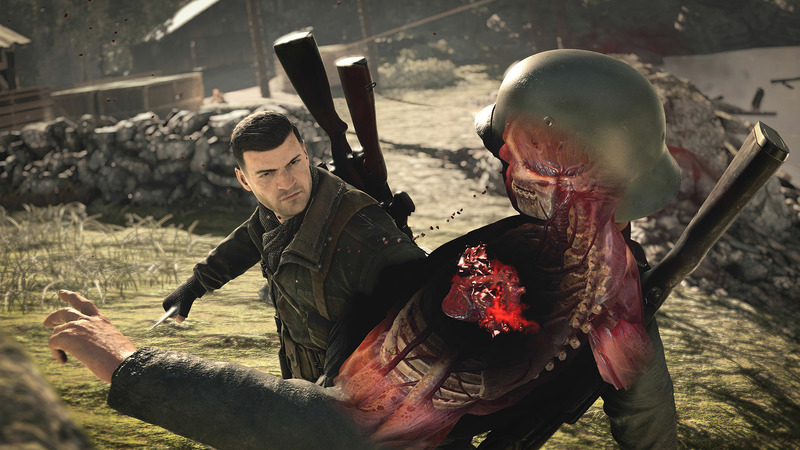 The game is set immediately after the events of Sniper Elite 3, and players are tasked to assist the Italian resistance force to fight against the Fascists of World War II. Sniper Elite 3 changed the series by providing big, open, and expansive levels with objectives completable in any order. Sniper Elite 4 takes that to a new level, with levels being both expansive horizontally and vertically. Branching paths, optional objectives, and even some minor platforming make the game replayable and flexible throughout the campaign. Imagine hanging off a ledge to avoid detection and sneaking up like a scene from Uncharted, it’s these style moments that are now part of the core gameplay. 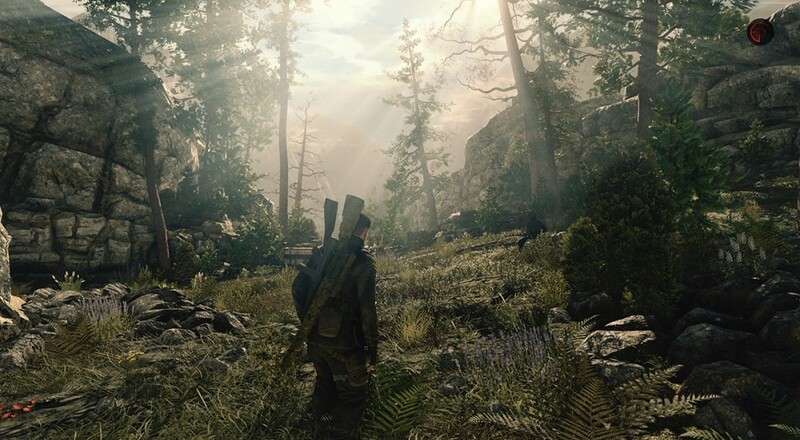 While Sniper Elite 4 is, at its core, a game about stealth and remaining unseen; the game does a great job of not punishing players like myself who tend to be...shall we say, “overly aggressive.” There are several ways to stay hidden while taking down your targets - hide in brush, use audio the environment to mask your shots, and create distractions with traps to lure targets away from yourself. But if you want to stand on top of the tallest tower and click the mouse as fast as the gun reloads, there’s nothing stopping that, and it’s not impossible to overcome the situation. If stealth is your thing, you’ll always know just how hidden you are within the environments as the game uses audio and visual clues to tell you just what the Fascists know about their intruder. Got spotted? A small ghost will appear showing where enemies think you are. On screen indicators show if someone has their eyes on you and other indicators show audio masking and threat level. To successfully complete a mission you’ll need to scout an area with binoculars, tag targets to watch patrol paths, and relax your breathing to get the most accurate shot. If you’re constantly playing hit and run, you’ll literally become out of breath making it near impossible to hold your rifle still for that sweet kidney shot. Luckily you’ll have a sidearm and an automatic weapon for those situations. There’s also a series of traps and explosives to use to thin the ranks and new to Sniper Elite 4, are explosive x-ray cams which are even more brutal than the regular ones. The campaign itself is quite enjoyable, the environments are beautiful with the Italian coast, mountains, and town all rendered in fine detail. The setting allows for a wide palette of colors to be used making the game both visually interesting, but also somewhat challenging to pick out your targets at times. Depending on your playstyle, each of the game’s 10 missions could take you 30 minutes or a few hours to complete making this quite the meaty campaign. Playing the campaign, completing objectives, finding collectibles, and sniping with style all earn you experience towards your character and your guns. As you level up both, you’ll unlock new abilities and customizations as well as earn virtual currency to purchase additional items in the game’s store. It’s a bit of a Free to Play like affair, but the content isn’t necessarily unlocked via microtransactions. That said there’s a lot of DLC that will be available for the game with a pass set at $35. If I have one critique of the game it’s here, as there just seems to be too much of a focus on this aspect.